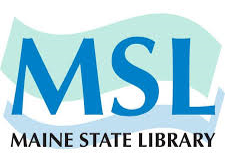 Sign up now for the following programs, conducted in partnership with the Maine State Library. Auburn - September 29 - RoboPots at Auburn Public Library. Contact Deb Cleveland. Norway - October 10 - RoboPots at Norway Memorial Library. Contact Annika Black. Winslow - October 18 - RoboPots at Winslow Public Library. Contact Samantha (Sam) Cote. Damariscotta - November 3 - Invisible Xylophone at Skidompha Library in Damariscotta. Contact Sophie Gagnon. Liberty - November 7 & 14 - RoboPots at Liberty Library. Contact Barb Rehmeyer. Bar Harbor - November 10 - RoboPots at Jesup Memorial Library in Bar Harbor. Contact Mae Corrion. Fort Fairfield - November 17 - Fort Fairfield Public Library. Contact Diana Leighton. We currently have two active programs: RoboPots and Invisible Xylophone. During RoboPots, students craft clay plant pots and then rig the electronics to make the pots self-watering. More information on RoboPots is here. During Invisible Xylophone, students create a wand that plays music when you wave it. More information on Invisible Xylophone is here. Want your Maine public library, school, or after-school program to host a Gizmo Garden program? Ask your librarian or teacher to contact us. Keep abreast of registration openings by following us on social media.